BOSTON, Mass. /Massachusetts Newswire/ — This past week, Mass. Governor Charlie Baker has nominated Michaela C. Stewart, an attorney dedicated to child welfare and juvenile law, to serve as an Associate Justice of the Juvenile Court. The Juvenile Court Department is a statewide court with jurisdiction over civil and criminal matters including delinquencies, youthful offender cases, care and protections and children requiring assistance cases. The Juvenile Court has 41 judges, including the Chief Justice, in over 40 locations. If confirmed by the Governor’s Council Attorney Stewart will take the Boston seat vacated by the retirement of Honorable Marjory A. German. Judicial nominations are subject to the advice and consent of the Governor’s Council. Applicants for judicial openings are reviewed by the Judicial Nominating Commission (JNC) and recommended to the governor. 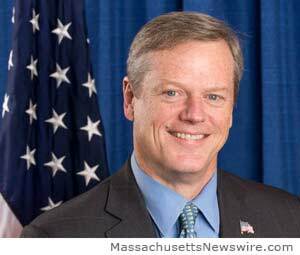 Governor Baker established the JNC in February, 2015 pursuant to Executive Order 558, a non-partisan, non-political Commission composed of volunteers from a cross-section of the Commonwealth’s diverse population to screen judicial applications. Twenty-one members were later appointed to the JNC in April, 2015. Michaela C. Stewart has operated a private law practice for the last 18 years in Brockton and has focused primarily on Child Welfare Law. She also currently serves as a Resource Attorney for Child and Family Law, where she provides legal and technical assistance to panel attorneys. She previously served as a Youth Advocacy Division Panel Attorney from 2011 – 2014, representing children committed to the Department of Youth Services. Attorney Stewart has been involved in many community activities and has performed a significant amount of pro bono work. She graduated from Northeastern University with a B.S. in Criminal Justice before attending the Massachusetts School of Law. She resides with her family in Easton.